2015. About Karikaturstriden for the Norwegian Encyclopedia Det Store Norske Leksikon. Article. 2015. About Charlie Hebdo for the Norwegian Encyclopedia Det Store Norske Leksikon. Article. 2013. ‘Objectivity and Advocacy in Global Warming Journalism. Scientific knowledge, local experiences and concern among students in Nicaragua, Nepal and Bangladesh’, written with Andreas Ytterstad and Roy Krøvel, in Asia Pacific Media Educator, 22 (1) Sage Publications. 2012.‘Tema: NordMedia2011 – Round table on Nordic Media Research’, in Nordicom Information. vol.34, number 2, 2012. 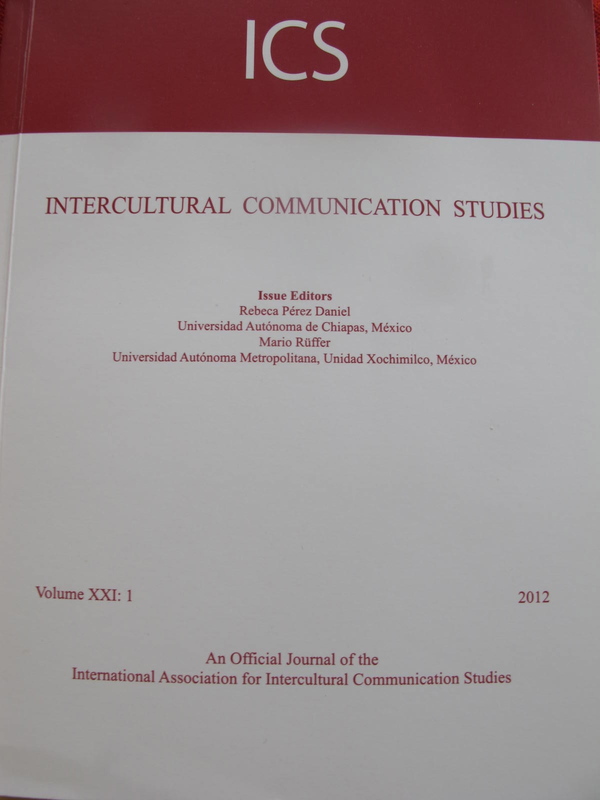 2012.‘Intercultural Educational Practices: Opening Paths for Dialogue’, in Intercultural Communication Studies. Abstract: The article offers an overview of the concept of ‘othering’ from the field of intercultural and postcolonial theories, and discusses empirical processes of ‘othering’ through a small ‘experiment’ with Master students in journalism, media and communication from Bangladesh and Nepal at Dhaka University in November 2010. The issue of concern is how socio-cultural diversity and societal integration exist in a relationship of greater or lesser tension, depending on the degree of reflexivity and flexibility of collective identities. The article is based upon a small qualitative research study that explored the awareness of group identity in intercultural communication. The article reveals how students responded to and made sense of constructed ‘imagined communities’ in the broader context of intercultural communication. 2012.‘The BDR mutiny in Bangladeshi media. From a ‘proletarian revolution’ to a ‘brutal massacre’’’, in Conflict and Communication Online. Vol. 11, no. 1. With Hillol Sobhan. Abstract: The article analyses the media coverage of the BDR mutiny in Bangladesh, February 2009. In examining journalistic processes and how the Bangladeshi media reported the violent conflict, the article looks at how approaches of peace journalism can be used in actual conflict reporting. Through a combination of methods the article discusses the dominant trends in the news coverage of the mutiny. Studying three newspapers’ coverage in detail,it was found that nearly two thirds of the news reports reduced conflict to force and violence, while one-third had a ‘peace frame’. Interestingly all the editorials analyzed had a ‘peace frame’. Presenting excerpts from interviews with journalists and editors, the article talks to the discussion about how journalists and editors themselves interpret, accept or challenge the process of conflict reporting. 2011. ‘Free expression and dilemmas of universalism: Four countries and a conference: Negotiating conflicting rights’, in ONLINE Volume 1 Number 1. Centre for Practical Multimedia Studies, Dhaka University. Abstract: The article discusses how the right to freedom of speech and expression is closely related to other rights, and examines the discussions of limitations to freedom of expression in four different countres Bangladesh, Indonesia, Norway and Pakistan. Most journalists, editors and scholars in the four different countries agree that there has to be limits to free speech, it is where to draw the line that is the challenging and interesting question and at the heart of the article’s discussion. 2010. ‘The Road to Renaming: Changing Durban’s street names – journalistic perspectives’. in Journal of African Media Studies Volume 2 Number 2. Intellect. Abstract: The article investigates how the Durban newspaper The Mercury covered the renaming of a large number of streets in Durban. Through analysis of selected newspaper articles combined with interviews with some of the central journalists covering the name changes, the article seeks to study the renaming process from different perspectives. Questions of identity politics, collective memory, rewriting of history and postcolonial discourses in the era of democracy are issues dealt with. The article also touches upon the increasing tendency to categorize the diverse South African media audiences into socio-economic groups, and the challenges that may arise from this in terms of creating, representing and reaching a complex nation. 2010. ‘Mediated culture and the well informed global citizen. Images of Africa in the global North’ in Nordicom Review. Abstract: During recent years, considerable attention has been paid to the negative portrayal of the African continent in the media of the so-called ‘global North’. Significantly less focus has been put on how to actually represent Africa in the news as more than the site of catastrophes or in other ways than through sunshine stories of the ‘struggling but smiling African’. The present article argues that the lack of a wide range of different genres in the North’s mediated representations of Africa is problematic, because the ‘hard news’ we receive is deficient in information about the background and context of news event. The article looks into different cultural expressions such as film, television entertainment and literature to explore how they can play a role in illustrating the concept of ‘Africa’ as both diverse and multifaceted. It argues that opening the northern mediascape to more content from the south would serve as an important backdrop and help in understanding a variety of messages from the African continent. 2009. ‘Films out of Africa” in Journal of African Media Studies Volume 1 Number 3. Intellect. Abstract: The article argues that fiction films from and about Africa may play an important role in increasing global audiences’ knowledge of Africa. The article explores both the potential and the challenges of such films when it comes to create broader perspectives of the African continent. It argues that there is a general need for film producers with African knowledge. The discussion has direct bearing on debates about how Africa is represented in the media of the so-called global north. 2008. ‘From his master’s voice and back again? Presidential inaugurations and South African television – the post-apartheid experience’ in African Affairs, Oxford Journals. Vol. 107, Issue 429 October. Abstract: This article examines the SABC television news coverage of the three presidential inaugurations in post-apartheid South Africa (Mandela 1994, Mbeki 1999 and 2004). The main question addressed is how the nation-building process and the broadcaster’s relationship to government are reflected in the national television news. The news stories reporting the same national socio-political event at three different stages constitute a case through which to analyse the changing discourses of nation building. The aim of the article is to speak to discussions about nationhood, presidency, and politics in South Africa. The findings have a direct bearing on debates about the establishment and enhancement of democracy and nation building in contemporary South Africa, and emphasize how a serious reassertion of media control took place towards the end of the first decade of democracy. 2008. ’When will the daybreak come? Popular music and political resistance in Ethiopia’ in Nordicom Review No 1.2008. Abstract: Popular musical expressions are important for discourses of citizenship and belonging. Focusing on popular music and political processes in Ethiopia today, this discussion uses Tewodros Kassahun aka Teddy Afro’s music as an example. Teddy Afro is a popular voice challenging the prevailing political discourse in Ethiopia. Several of Afro’s songs have been banned by the government on radio and television in Ethiopia, but are found to provide alternative sites of political and cultural resistance to the autocratic regime. Reasons for censorship are discussed as well as how music can provide alternative sites of resistance. The findings show that oppressing political expressions may not always kill the ideas, as they may find alternative arenas in the face of obstacles. 2007. Changing media structures in South Africa’. Poster at the conference ’Development paths in the South’, Norges Forskningsråd, March. 2006/2002. “Med Gutta på Tur. Blikket på ’de andre’ i reiseskildringer”, i antologien Et hjem for oss. Et hjem for deg? Analyser av TV 2 1992 – 2002, Enli, Syvertsen og Østby (red.) Kristiansand: IJ-Forlaget 2002.2nd ed. 2006. 2006. ‘An Evaluation of the Reforms of The International Programme for the Development of Communication’ in UNESCO’s report series 2006. Paris: UNESCO. 2004.‘Unifying and Dividing Processes in National Media: The Janus Face of South Africa’ in Critical Arts. Vol 18.No.1. Durban, South Africa: UKZN. 2002. “Medier: Den tause sulten” i Apollon. No.2. 2003. Oslo: Universitetet i Oslo. 2002. “Som å kysse? Om kommunikasjon” i Vennskapet nummer 2, 2002, published by ’Vennskap Nord/Sør’/ Norad. 1997. “Allmennfjernsynets nye fasade – en kvalitativ programflateanalyse av NRK”. Skrevet med Espen Ytreberg, publisert i Norsk Medietidsskrift no. 2.